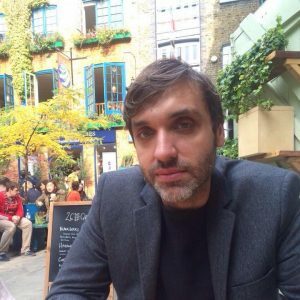 Tassos Papadiamantis is a Research Fellow at the School of Geography, Earth and Environmental Sciences of the University of Birmingham. In NanoCommons he is working in Work Packages 1, 3, 7 and 11 and leading Work Package 21. Tassos comes from Greece and has a BSc in Physics with specialisation in Atomic – Molecular Physics and LASERs from the Physics Department and an interdisciplinary MSc in “Optics and Vision” from the School of Medicine and the Departments of Physics, Materials Science and Technology and Mathematics of the University of Crete. Through his MSc work at the Institute of Vision and Optics he became interested in nano/biomaterials and went on to complete his PhD at the University of Birmingham, in collaboration with GlaxoSmithKline, in Dental Sciences and Biomaterials. During his PhD, he participated in EU FP7 projects such as ModNanoTox and QualityNano and eventually joined NanoMILE as a Research Fellow. His focus was on database (DB) creation, data curation and subsequent data analysis, with the intention to identify, and propose ways to bridge potential gaps in the cross-study continuity and comparability. He also aims to discover underlying patterns between the physicochemical, atomic and molecular characteristics of ENMs and their effects on the environment and biological organisms. 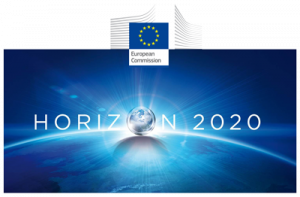 Tassos is now part of H2020 infrastructure project NanoCommons, and collaborating with NanoFASE, dealing with the development of data curation templates, automation of the curation process and metadata analysis and visualisation tools. His work is based on techniques developed by the Centre for the Environmental Implications of NanoTechnology (CEINT) of Duke University. This collaboration also links other EU and US projects aiming to link and harmonise different DBs, bring the nanosafety community closer, promote Findable, Accessible, Interoperable, and Re-usable data and contribute to wider project collaboration and continuity. Tassos is also part of EC4SafeNano project and is assisting the Coordination Team and the Steering Group of the EU NanoSafety Cluster on their day-to-day activities and organisation.